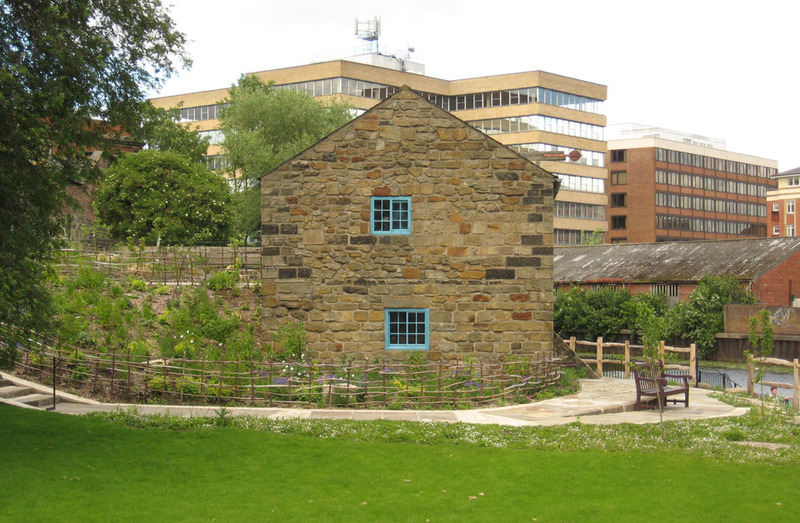 This small building alongside the Foss is perhaps not appreciated as much as it should be, attached as it is to a museum full of fascinating things to explore. It has recently been extensively refurbished, and there’s an official opening event this weekend, which is one of the reasons I wanted to mention it. Also because I was passing recently and noticed how handsome it, and the area around it, was looking. I found an information sheet on the building when I was going through the old scrapbook a while back. The leaflet is dated 1975, and describes, with nice illustrations, the history of the mill, and how it came to be here on the banks of the Foss. Back in 1975, I wouldn’t have cared about its history, but that now seems the most interesting aspect. It has been uprooted from its original home, in Raindale (great name), north of Newton-on-Rawcliffe, close to the old Whitby-Pickering railway line. It was in operation there until about 1915. The mill owner later offered the building to Dr Kirk, founder of the Castle Museum. I’m trying to imagine how this came about, imagining the miller wandering up to Dr Kirk saying ‘Now then, Dr Kirk, I’ve got a mill ‘ere if yer interested’. Other more important things intervened – the Second World War mainly. 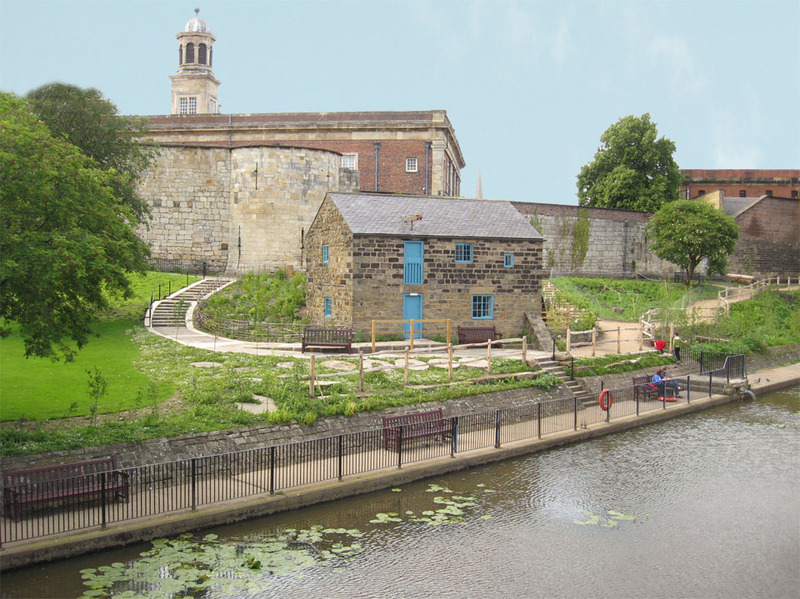 But as if the original idea wasn’t impressive enough, even more impressive is that it was taken up again and made real, and the mill was dismantled, transported to York, rebuilt on the banks of the Foss, and opened in 1966. Bits of it had gone rotten in the intervening period, as you’d expect, so bits of other mills came to the rescue. The 1975 leaflet also includes a list of donated tools, which came from Raskelf, Wakefield, Pickering, Kelfield. A real collaborative effort then. As was the more recent work to reinvigorate this riverbank area, replant and smarten it up. See the Castle Museum website for more information. By Lisa @YorkStories • 3 July 2012 Buildings, Histories To link to this page's proper location please use the > permalink. love Raindale MIll. Have a pic of me standing by the grinding stone in 80’s yellow Millets waterproof ! Do you know if Raindale Mill had a shop at some point? I vaguely remember one, and have a skipping rope I think we bought from there, mid-70s. Though it was maybe from the main museum shop. I lived at Stape and I remember those cottages when I was little, when we went to the train at Levisham station.I would love to know who lived in the cottage.